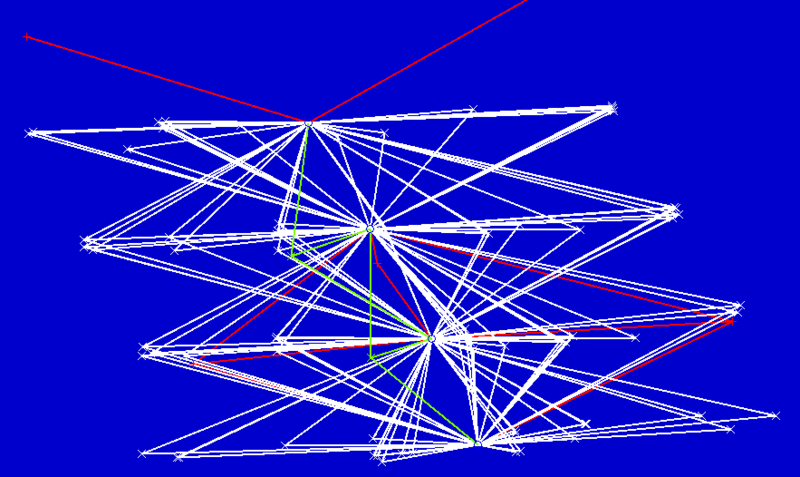 IPS-Match2 — Image Processing Software, Inc.
A cost effective solution for Aerotriangulation. Wizard for easy Project Setup. For use with film or digital cameras. Automatically locates Pass & Tie Points. Matched points are only saved if matched on all overlapping images. Bundle Adjustment is used to automatically eliminate poor and ambiguous matches. Can be used with or without GPS/INS. Fiducial Marks automatically measured on film imagery. Visual Orientation (using an orthophoto) optionally used for easy project setup. Both Control and Tie points can be manually entered. Creates orthophotos and mosaics of project imagery. The results of the bundle adjustment can be graphically displayed. Results of a bundle adjustment for a 12 photo project. Pass, Tie, and Control points are displayed with lines connecting to image centers.